The SOLE Women's Sport Flips offer all the comfort, support and post-exercise recovery that made it an instant classic. The strap is made with perforated, synthetic nubuck and lined with a soft, polyester fabric ensuring maximum comfort and breathability. 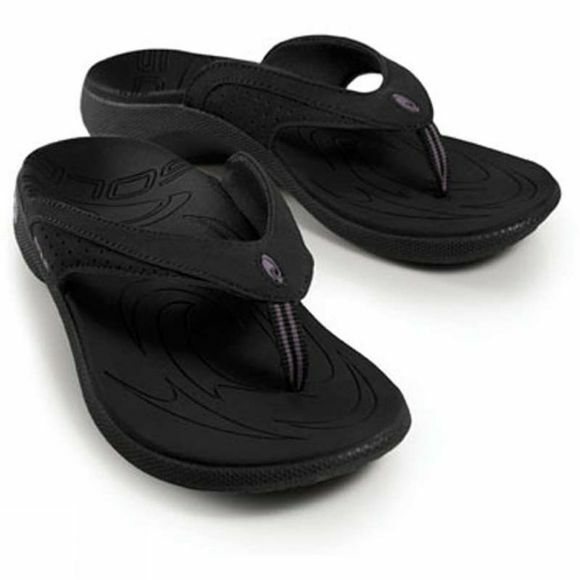 New for 2011, Polygiene® on the footbed helps control odour.